This is a valid question, and the answer depends on what your personal preferences are regarding comfort level, price range, materials, and protection levels. To help clarify which type of mouthguard may be the right one for you, we have laid out everything you need to know about the similarities and differences between custom-fit mouthguards and over-the-counter mouthguards. Over-the-counter mouthguards are very similar to many mouthguards used by athletes while playing sports except over-the-counter mouthguards are intended to stop teeth from grinding during the night. Both sports and over-the-counter mouthguards are made of plastic, but while most sports mouthguards are very thick and brittle, over-the-counter mouthguards are created out of a thinner and more pliable plastic that is meant to be more suitable to a wider range of people. Over-the-counter mouthguards come out of their packaging as a smooth, preformed u-shaped tray and cover the entire top row of teeth in order to prevent upper and lower teeth from gnashing and grinding against each other. The mouthguard has to be fitted to your specific teeth before it is comfortable to wear and work effectively. Generally speaking, the most common over-the-counter mouthguards are formed through a method called “boil and bite”. This means that the mouthguard must be placed in boiling water for a certain amount of time, specified by the instructions included with the mouthguard, in order for the plastic to become very soft and pliable. After being heated sufficiently, the mouthguard is then taken out of the water and carefully placed in the mouth, over the teeth, and gently bitten down on so that the soft plastic moulds to the shape of the wearer’s teeth. The primary downside to these is that the plastic is thinner, which means that extra precaution should be taken to ensure that when moulding the mouthguard to the teeth, the mouthguard is not bitten through. After the mouthguard has cooled and is properly formed to your teeth, you can then carefully make any adjustments to the mouthguard with a sharp and sturdy pair of scissors or a razor blade. Over-the-counter mouthguards are meant to be customizable, so if the mouthguard feels too long or is too high and aggravates the gums, it can be modified to suit your comfort level. Protecting your teeth from grinding with an over-the-counter mouthguard is absolutely better than not protecting them at all. However, if your jaw moves enough to move or dislodge the mouthguard during sleep the mouthguard will no longer protect your teeth. If you clench your teeth extremely hard, you may end up biting through the plastic or breaking the mouthguard which, again, would leave your teeth unprotected. If this sounds like your teeth grinding habits, a custom-fit mouthguard is going to be better suited to your needs. Because over-the-counter mouthguards are made from a pliable plastic, constant chewing, teeth clenching, and grinding wears down the plastic much quicker than the strong material used to make custom-fit mouthguards. This means that over the course of a few months, over-the-counter mouthguards can break or become deformed and may no longer provide the same level of protection. Where can I buy one and how much are they? 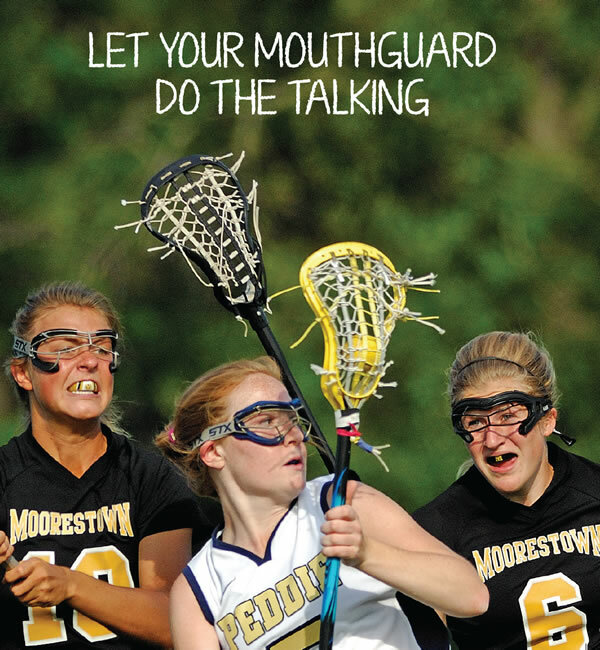 Over-the-counter mouth guards can be purchased at most pharmacies, drugstores, and some online retailers. However, if you are a first time buyer it is best to buy your mouth guard in person and speak with the pharmacy professional to ensure that you are getting the one best for you. Generally speaking, these mouth guards cost from $15 to $35. Custom-fit mouthguards are prescribed and created by a dental professional from thermoplastic material and are based on a detailed mould taken of your mouth and teeth. These devices are highly personalized as your dentist can adjust the thickness of the mouthguard depending on your level of teeth grinding and clenching, and they are designed to fit perfectly in your mouth with no adjustments needed. Custom mouthguards can be made for either sports or for nighttime teeth grinding, and are created differently depending on the intended use. Most mouthguards are generally only fitted for the upper teeth, but can also be fitted for the bottom set of teeth in certain situations. 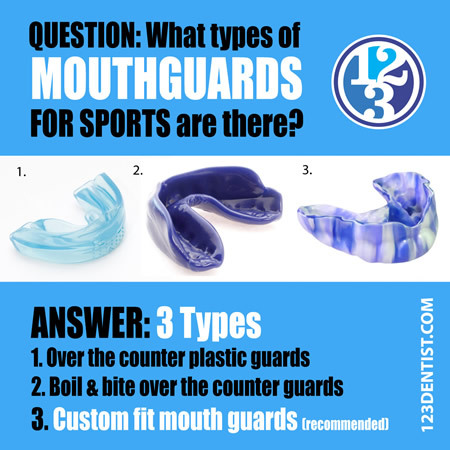 Unlike over-the-counter mouthguards, no two custom mouthguards are the same, and for that reason they provide the most complete protection for your mouth. The first step your dentist will take when creating your custom-fit mouthguard will be to take an impression of your teeth. This is generally done using a dental putty that forms to all the crevices of each tooth and creates an exact mould of your smile – unlike regular store-bought mouthguards which just form to the general shape of the tooth line. This mould is then used in the dental office or, more often, is sent to a lab where the actual mouthguard is created. The structure is made by layering superheated plastic to precise specifications, and is then cooled to create an extremely durable piece of dental wear. 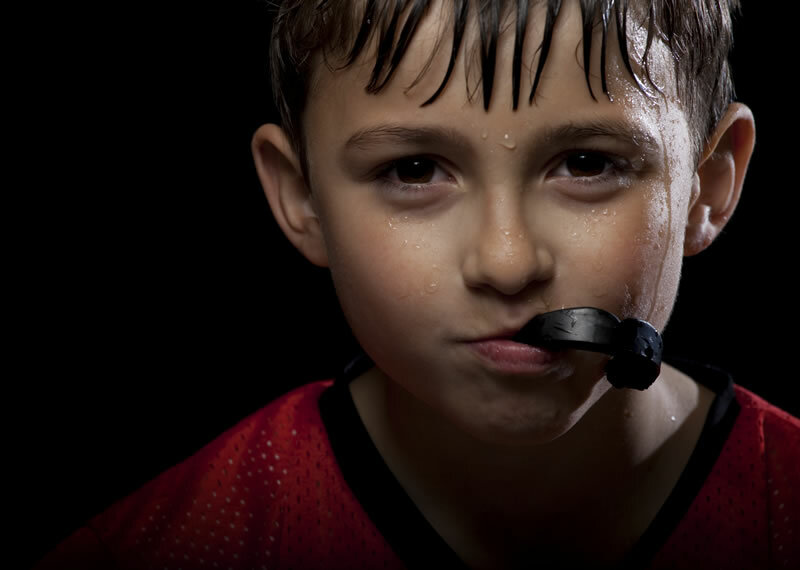 Because custom mouth guards are so precisely made, they are able to provide you with optimal safety and comfort. This is something that over-the-counter mouthguards cannot ever achieve. 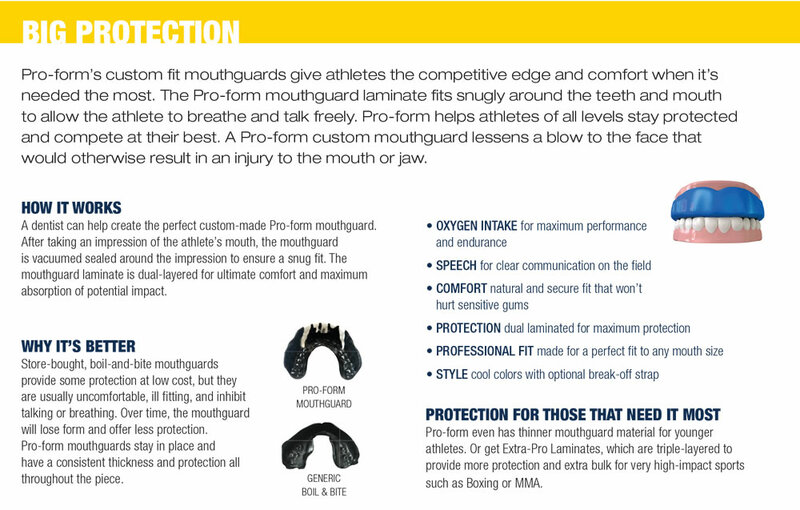 The level of protection afforded by custom-fitted mouthguards is unrivalled by any other mouthguard, and their durability is enhanced by the snug shape, which hugs each tooth closely, eliminating unwanted movement. For those who violently grind, clench, or gnash their teeth at night, custom-fit mouthguards can be made thicker, alleviating and reducing pressure on the jaw. Custom-fit mouthguards are very durable and do not lose their shape like store bought mouthguards tend to. The general rule of thumb for custom mouthguards is that every few years they may need replacing, depending on the level of wear and tear, and whether or not there have been any changes in the mouth or to the wearer’s teeth. 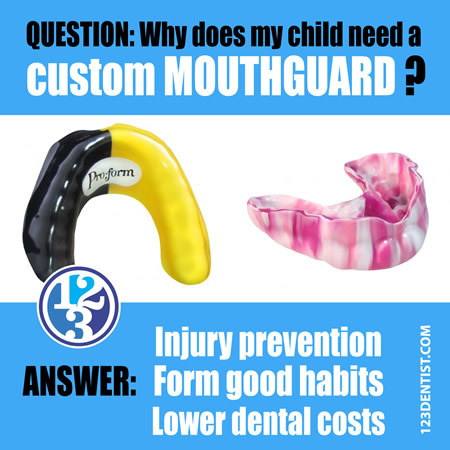 Children who are still growing will need their custom mouthguards updated more frequently to accommodate their changing mouths. However, it is a good idea to bring your custom mouthguard with you to each dental checkup so that your dentist can ensure that it is still fitting properly and is not damaged. How can I get one and how much do they cost? Custom-fit mouthguards can only be obtained through your dentist. If you are eligible for one, your dentist will arrange a time when you can be fitted for a dental mould to begin the process of creating your custom mouthguard. Because these mouthguards require professional attention and are so specific to each mouth, they can cost anywhere from $100 to $700 depending on what you will be using it for, how much material is needed, and other specifications your mouth may need. Be sure to check with your insurance provider whether or not the expense can be covered or partially covered according to your dental plan. Whether you are considering an over-the-counter mouthguard or think a custom-fit option might be the best for you, be sure to talk to your dentist about your specific needs. Is A Night Mouth Guard Right For You?